THE owners of one of Basil Fawlty actor John Cleese’s favourite eateries have slammed TripAdvisor – while urging restauranteurs to fight back like the famous character. 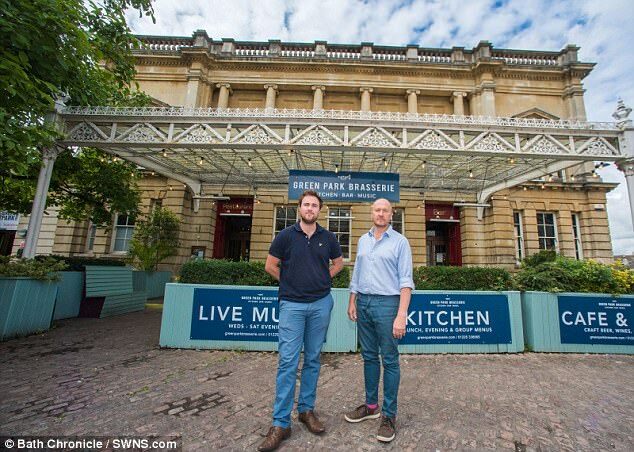 Father-and-son duo Andrew and Alex Peters, who run Green Park Brasserie in Bath, Somerset, say customers should address any problems in person not online. 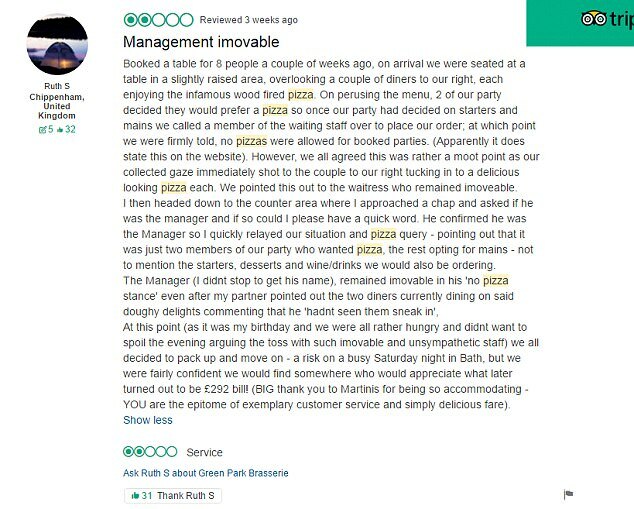 It follows a visit to the restaurant by a party of eight people who had pre-booked and left without eating after being told they could not order pizza. They then left a less than complimentary review on TripAdvisor. 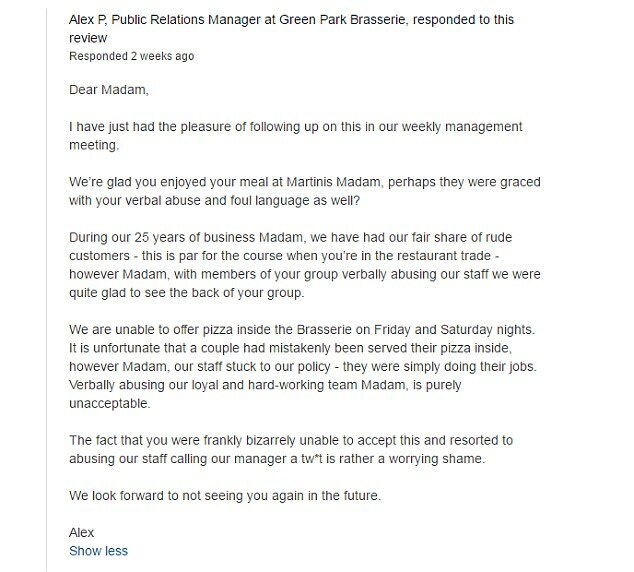 But Alex, a 28-year-old marketing consultant, claims the group verbally abused staff members. Alex added: “We’ve actually decided to change stance and stand up for restaurants. “We recently had a nasty review… and decided enough is enough. We hit back. Andrew added: “TripAdvisor has been around for a while now. “We take it very seriously and very personally. “This is our living and we put 100 per cent of our body and soul into it. “We’ve been brought up with the ‘customer is always right’ mentality, but sometimes two sides to a story. “If there’s a problem please put your hand up at the time and give us a chance to sort it out. “We do have the right to reply and we owe it to ourselves and our staff. Cleese, who plays Basil Fawlty in British sitcom Fawlty Towers, is a big fan of the restaurant and has been spotted eating there. Green Park Brasserie has a 4.5 out of 5 rating on TripAdvisor and the certificate of excellence for consistently top reviews. 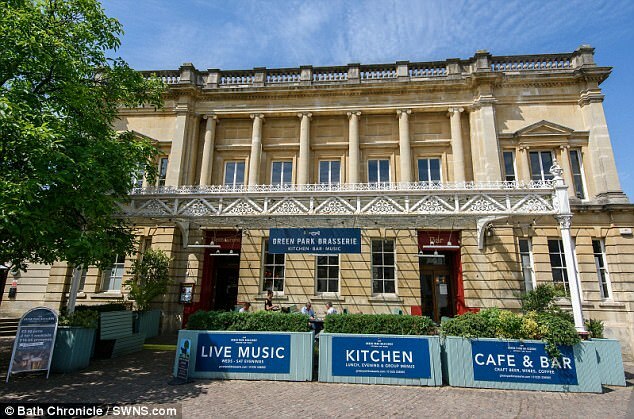 It is rated as the 69th best of Bath’s 420 restaurants.